You're the 8º visitor of today and the 28377º since March 23, 2012. This is the official Ohmnibus Production web page. Here we share passions. For free. 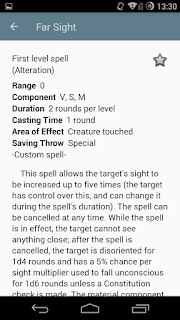 Grimorium Library Editor is a simple worksheet designed to help user to create new spell libraries for Grimorium for AD&D. 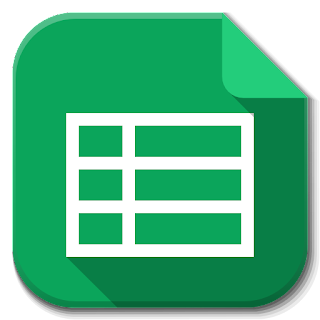 To use this tool (a preview is shown below), go to the following link and make a copy to your Google Drive, then start adding your custom spells. Grimorium for AD&D is an handy reference for AD&D spells. 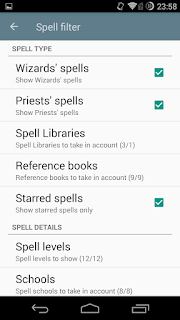 The app can read online spell resources, called Spell Libraries, allowing the user to virtually access any existing spell, either official or custom. The search bar allow a quick search by typing the spell name (or part of it), and a flexible filtering system let you filter out those spell not wanted. 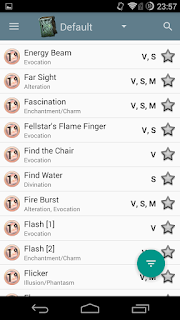 For each profile (Magic User) it is possible to define a different filter and a list of preferred (starred) spells; ideally the filter can be used to identify those spells accessible to the Magic User, while the stars indicate the spells learned, but the choice of how to use these tools is left to the user. Almost a year is passed from the last official update, but at last the new version of Quick Dice Roller is finally available! Speaking of modifiers, it is now possible to add Named Values to modifier bar. This way a Named Values can be quickly added to the last roll, and by a long press it is possible to access to it's context menu to see details or change it's current value. There are many improvements, but much of them are not visible. It is now easy to fine tune a Named Value: in addition to the slider there are fine tuning buttons. The random number generator was greatly improved by using the xoroshiro128+ algorithm, that is the state of the art in this field. Any help is welcome. Contact me! All contents of these page are © 1997-2019 by Ohmnibus, unless expressly specified otherwise. Reproduction of such content, including all the downloadable materials, images and graphics, is strictly prohibited, except for personal use, unless a written permission from the Webmaster. For any question please contact the Webmaster at webmaster at ohmnibus.net.